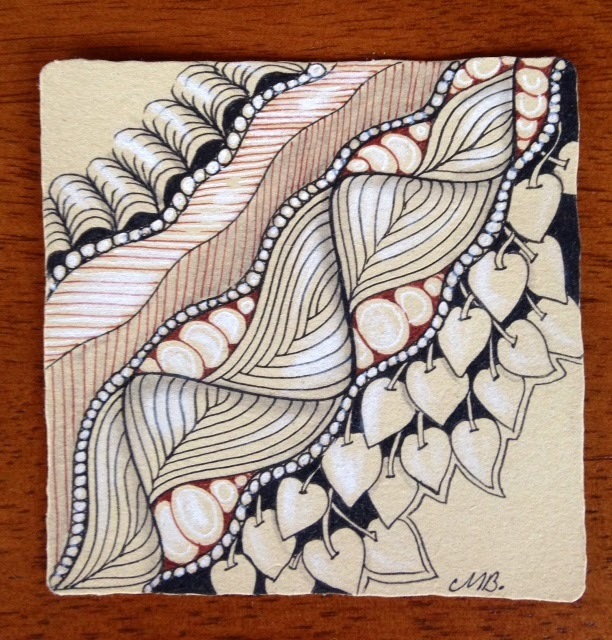 Weekly Challenge #184: "New Official Tangle: ING by Molly"
A wonderfully enthusiastic art group in Cairns (Northern Australia) have kindly invited me to share Zentangle with them so this coming weekend we are flying up for a 2 day workshop to tangle and create. Paul is coming too for a treat in the warmth of the tropics and an adventure in the rainforest. This will be a very special and memorable experience for me. 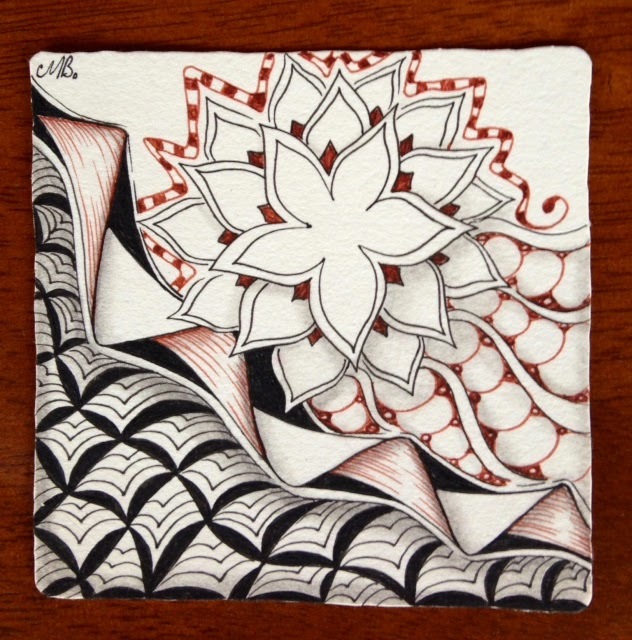 Life is like a Zentangle .......full of delightful surprises! Great use of ING. They are all so fluid. Your second reminds me of waves. 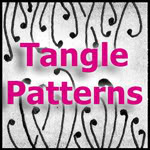 Have fun on your tangling adventure. I love what you have done with ING. I agree with Donald, very fluid. Be safe. You've turned angular ING into something much more organic. I love it! You never cease to amaze! I love all three tiles! Three very nice tiles. I especially like the middle one. It has a lovely rhythm to it. I can see that you had a lot of fun playing with ING. Oh my goodness, three wonderful tiles. I love the first one, and the second and the third. Don't ask, I can't choose my favourite. Beautiful tiles, I love the flow in all three. I like the rounded version of ING too. Have a great time on your trip. Love all your soft ING's, they are 'delightful surprises' as always! Fantastic trio of ING challenge Tiles. Such impressive artistic expression and creative energy. I am in awe of your work, Shelly. These are wonderful. 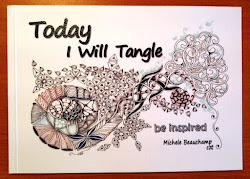 Isn't it fun to push a tangle? Enjoy your trip! As usual, very creative with creating organic and flowy pieces out of straight and geometric ING. Love them all! I love your flowing variation of ING, both as a wave and as leaves. I love what you did with ING! Have a wonderful trip and enjoy the workshop.....lucky students! Wow, beautiful flowing ING! As ever - your touch of colour and amazing shading, and choice of complimentary tangles are awesome! 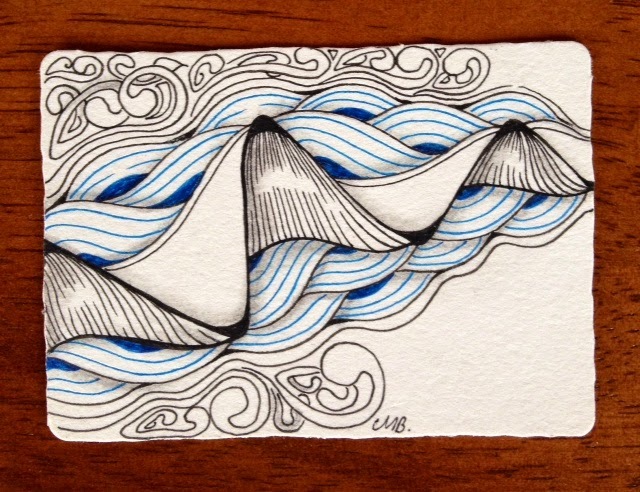 I'm very new to Zentangle, but one of the things I've learned about myself through creating these is that I have a really hard time with the angles. They just don't "feel" right to me. I much prefer curves and I LOVE the way you took the angles and made them curve. They flow so beautifully. Very nice! I'm with you Jenene curves feel good and free to draw. All your tiles are amazing (as always). I love your work! So looking forward to our weekend with you Michele. 13 eager beavers waiting for you in Cairns. Lovely to meet you this afternoon too. See you Saturday! Impressive: 3 different looks with the same tangle, but all very fluid. Nice. Safe travels. Always love your tiles. Look forward to seeing them each week. I love the different interpretations of ING that you have done here. Beautiful work! Here is the wonderful weekend we had with Michele. What a most talented wonderful teacher and we want her back!